"Ensuring macroeconomics stability is undoubtedly the most important task." Ensuring macroeconomics stability is the main task related to the development of the country’s economy, Russian President Vladimir Putin said at a meeting on economic issues on Jan. 18. "Ensuring macroeconomics stability is undoubtedly the most important task. We need to keep the state’s finances stable, maintain acceptably low inflation and unemployment rates. Today we will also discuss the ways to respond to possible risks," Putin said. 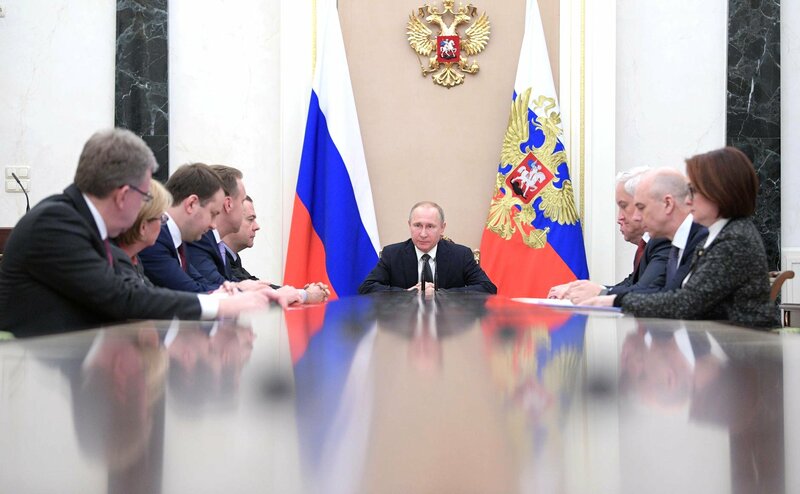 The president added that it was necessary to provide new incentives for the development of Russia’s economy and support small and medium-size business by employing financial mechanisms for upholding business initiatives and ensuring investment flows, including foreign investment, private and government investment.